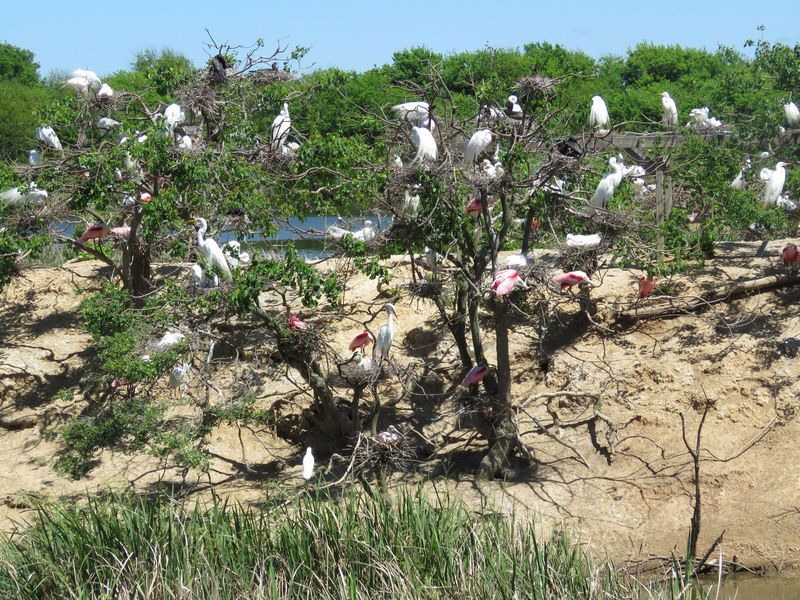 Six years ago I went on a birding bus trip and got to see the Smith Oaks Rookery in High Island, Texas. 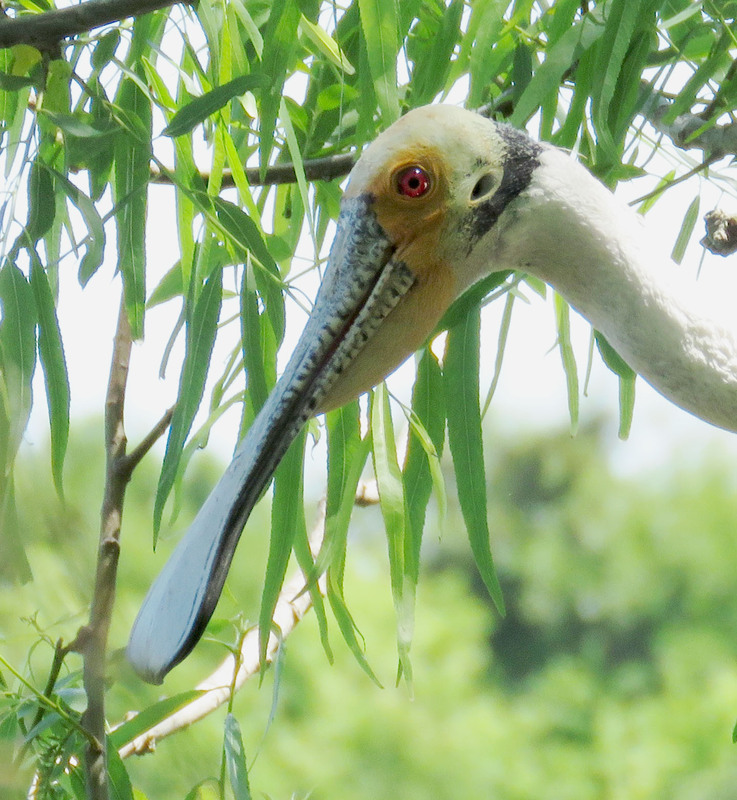 It was amazing to see of hundreds of giant nests stacked ten to twenty high on each tree, with egrets, cormorants, and spoonbills bouncing on the branches and gliding slowly across the water, and to hear the croaks and whistles of these usually silent birds. I really wanted to go back and bring my husband, and this week, we finally got to go. We live about 3 hours away, so we didn’t get there until noon. 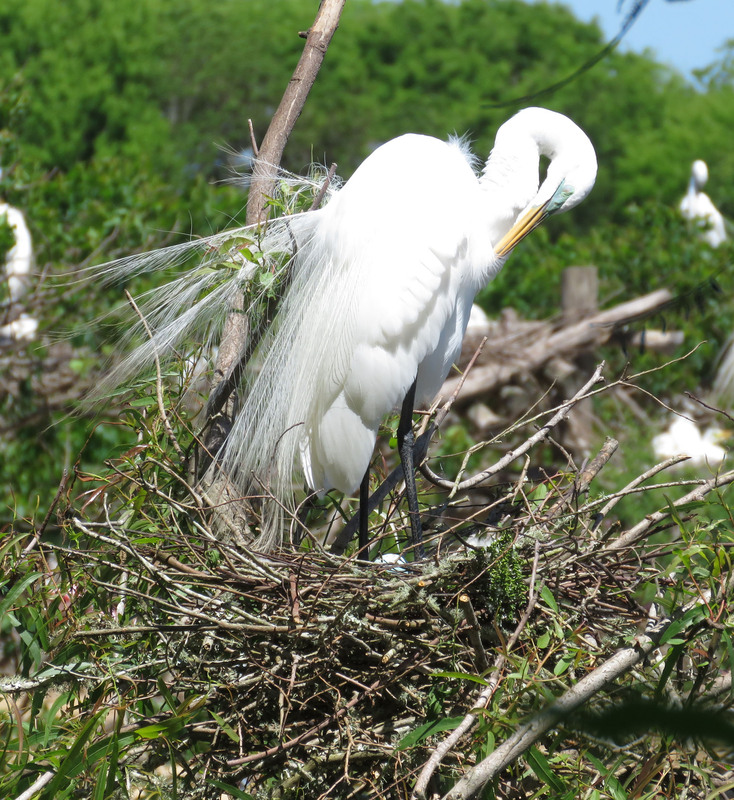 In the brightness I couldn’t see details on the rookery island that well, and it wasn’t until I looked at the pictures on the computer that I realized that many of the nests did have hatchlings in them; I thought everybody was still in the egg stage. I wish I been able to zoom in on them for better pictures! 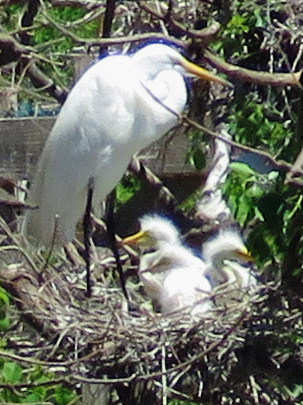 Great Egret with three chicks. Not everybody gets along peacefully. As far as I could tell, one stepped over an invisible boundary line. 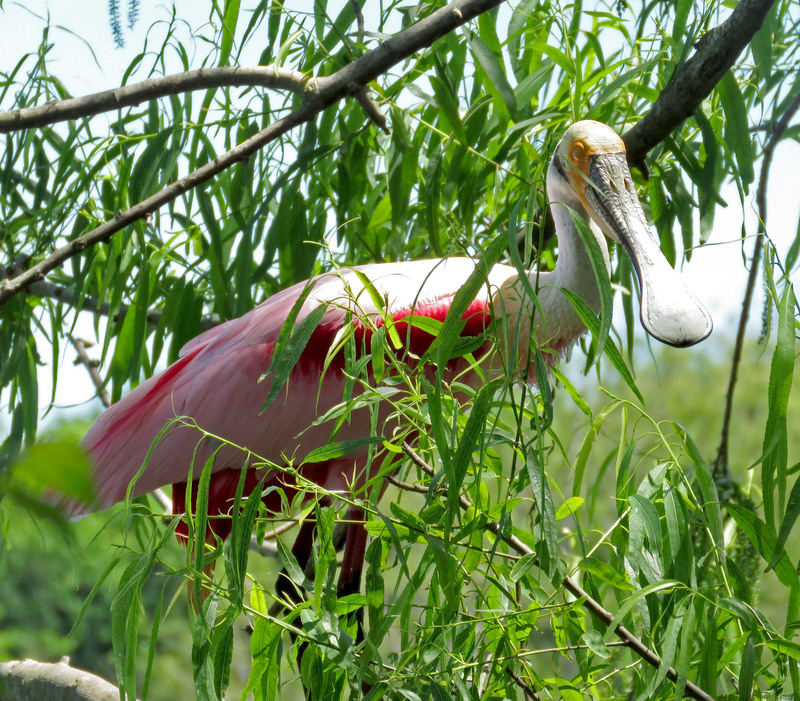 A Roseate Spoonbill flew right next to the viewing platform. There were lots of reptiles too. Alligators and turtles rest on the shoreline. 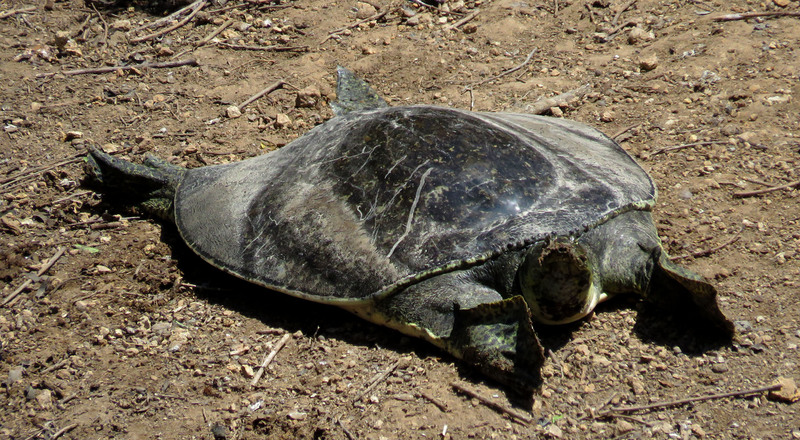 I believe this large turtle is a Spiny Softshell. Here is a close-up of her face. It’s blurry but I just had to show you those tiny close-set eyes. 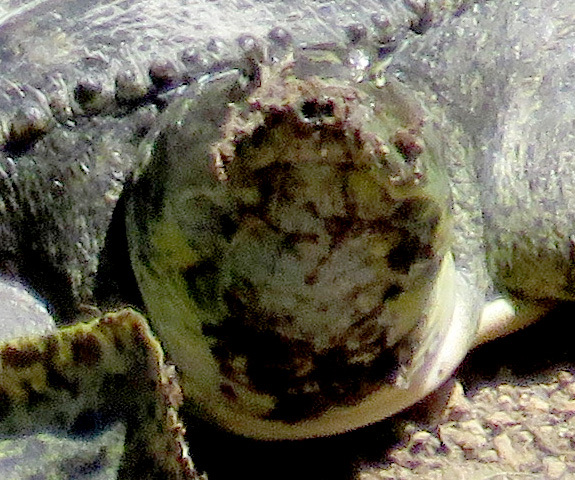 The bumps on the front of her shell are the “spines” in Spiny Softshell. After we left the rookery area, we were walking along a pond’s edge, and suddenly saw a thrash of movement and heard a splash close by. 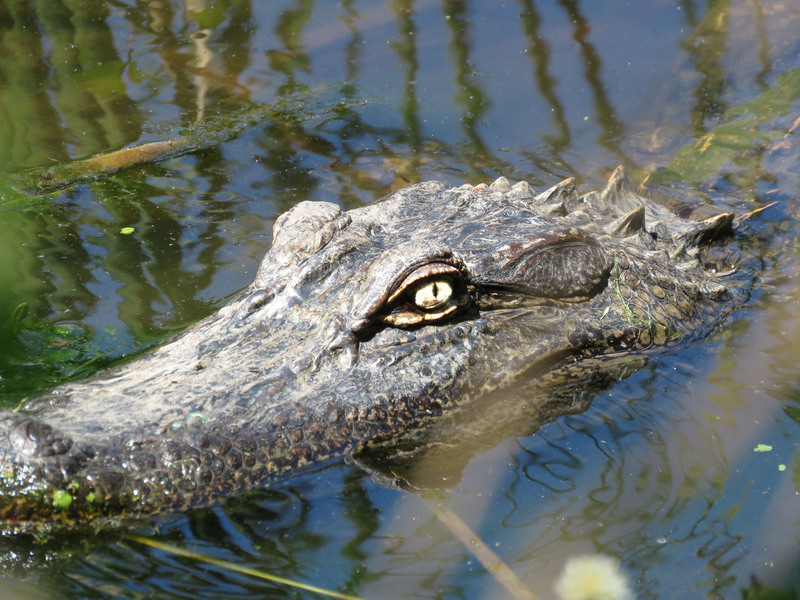 Two young alligators had been sunning just about six feet away from us, and we never even noticed them! I have seen a lot of alligators in my life, but I have never seen one move so quickly. It had flexed its spine and whipped its tail up close to its head to jump into the water, and then it swam quietly around to look at us. Its buddy stayed on the bank, unconcerned. 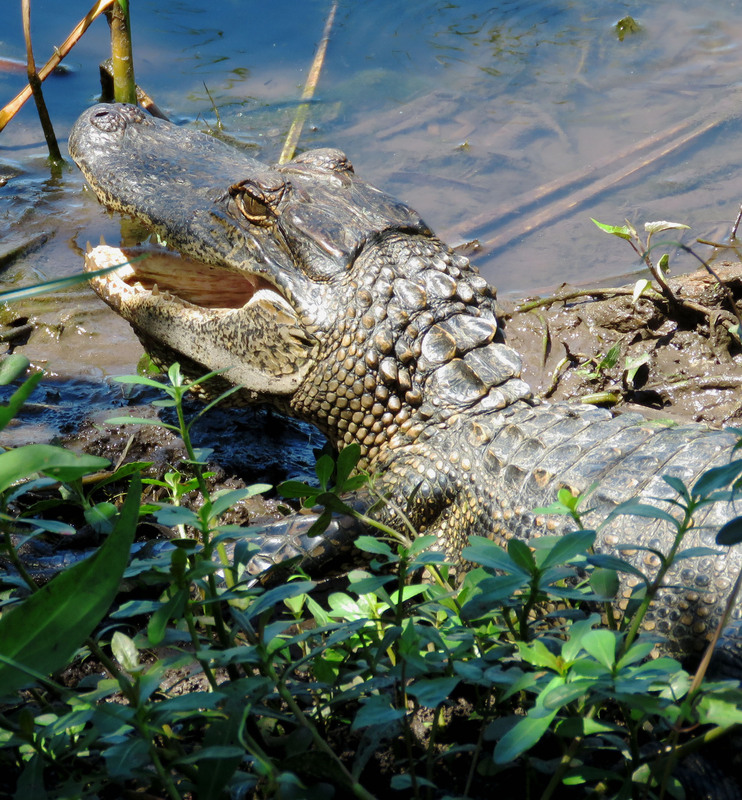 Young alligator, about three feet (1 m) long. My husband noticed a third floating close by. Alert alligator. I may have photoshopped his eyes to make them glow. 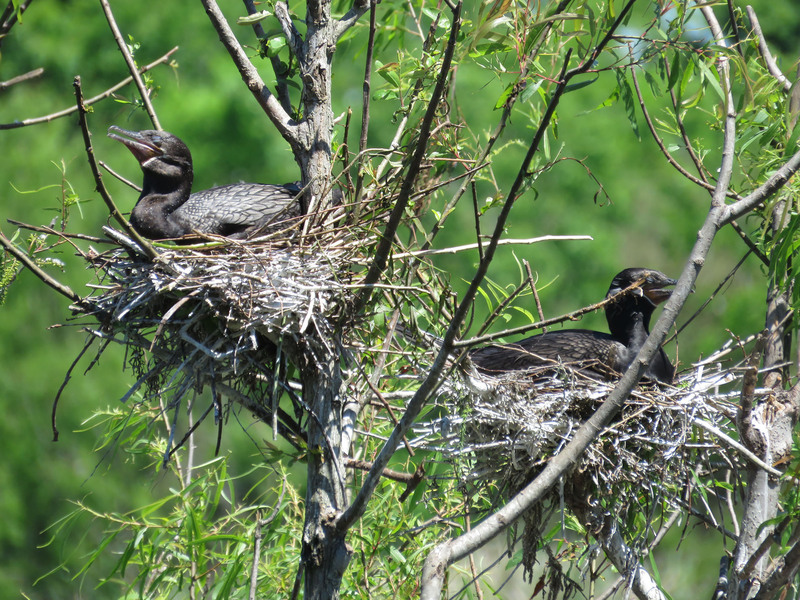 For the history of Smith Oaks, you really need to go to the Audubon Society page I have linked to there, and then scroll down a little bit, because that writer describes it so colorfully! 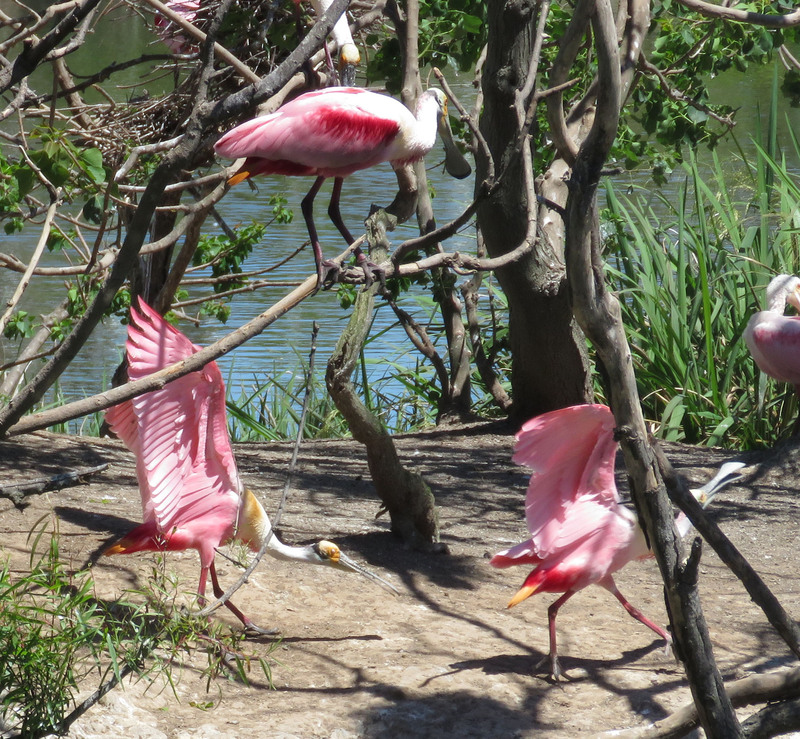 Wonderful photos, looks like a great place for bird watchers to visit! Thank you, it is a lot of fun to go see!